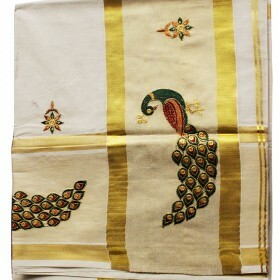 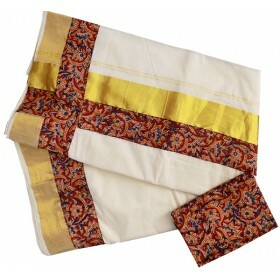 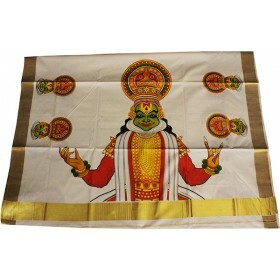 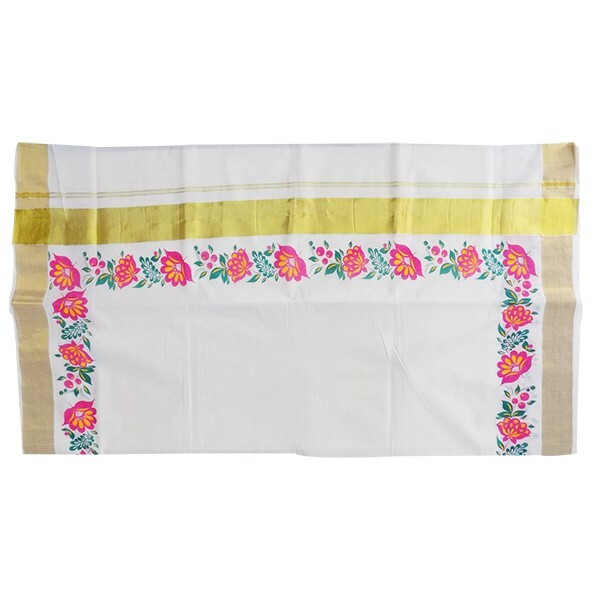 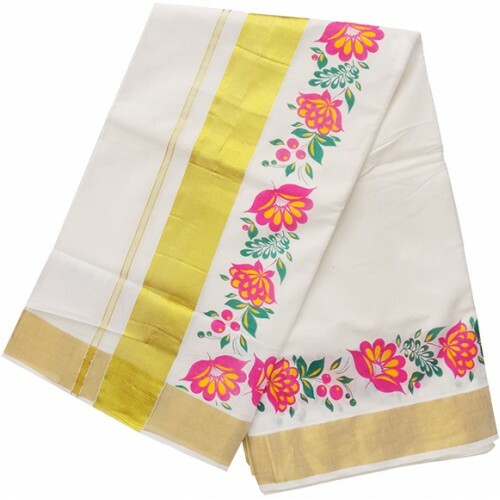 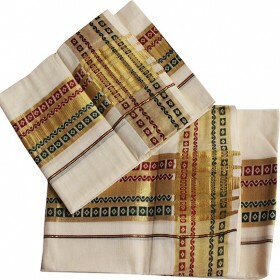 Kerala traditional floral print kasavu saree is comes with a beautiful Golden jari from malabarshopping collection. 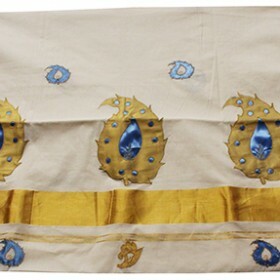 The main speciality of the saree is the flower design comes along in the golden Jari.It have an attached blouse piece along with the saree. 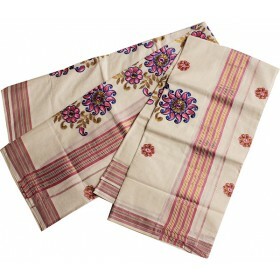 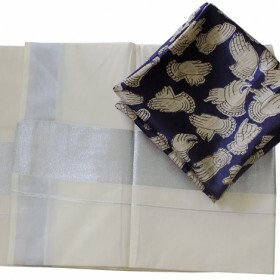 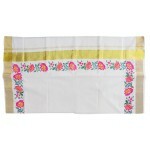 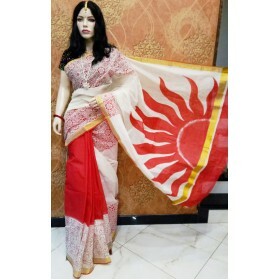 The saree is plain with a lovely printed flower design which makes it look gorgeous.